Join D Home and Palecek for a discussion on how designers can build brand awareness, be featured in media, find the right clientele through strategic marketing, and more. Attendees will hear the latest insights from leading designers and digital mavens Caitlin Wilson and Pulp Design Studios’ founders, Beth Dotolo and Carolina Gentry. In addition, Ryan Conner, D Home’s executive editor, will provide insight about effective PR outreach and working with media. Gillea Allison, D Magazine Partners’ marketing director will moderate and share creative marketing tactics for attracting the business you want. The panel will wrap up with the opportunity for designers to meet and greet with D Home’s editorial team and expert panelists, share portfolios, seek 1:1 feedback, and network. Gillea Allison is currently the Marketing Director at D Magazine Partners, the city magazine of Dallas. She was formerly the Associate Publisher of D Home, working across design verticals and creating marketing opportunities, content-based events, and networking opportunities for clients. She has held roles as a digital strategist, marketing lead, and community builder across media companies, campaigns, private brands, and nonprofit & advocacy organizations. 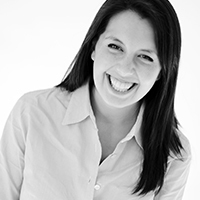 Before moving back home to Dallas in 2016, she worked for Blue State Digital in New York, an agency and technology company that develops and runs brand, membership, and engagement campaigns for clients, ranging from Obama for America, to EMILY’s List and Ford. Ryan Conner is the executive editor of D Home. She started at D Magazine Partners as an editorial assistant for D Magazine, where she covered topics ranging from fashion and nightlife to managing the “Best” lists. 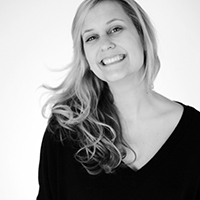 In 2013, she joined the D Weddings and D Home team as assistant editor and editor of DWeddings.com. Now, she works closely with Jamie Laubhan-Oliver to deliver a shelter magazine that has voice, strong imagery, and an editorial focus on how people live in Dallas. 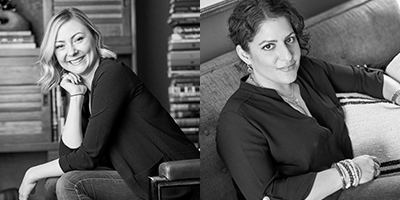 Beth Dotolo and Carolina Gentry co-founded Pulp Design Studios in 2007, growing the company into a major brand beyond interior design and with offices in Dallas and Seattle. With a forward-thinking approach to commerce and design, the duo has established a unique viewpoint that combines luxury design and a flair for the unexpected. Beth and Carolina are known as influencers with an uncanny ability to understand brands and influence consumers, and are followed by tens of thousands of people around the globe. 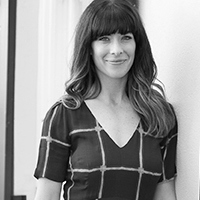 Product and Interior Designer, Caitlin Wilson founded her own interior design firm in 2007 but after a relocation overseas for her husband’s career, she was so inspired by pattern in Hong Kong and Dubai that she began working on her own designs. She launched her own textile collection in 2011 which has evolved into rugs, wallpaper, and more. Today, Caitlin Wilson Design is known for her “Traditional With a Twist” aesthetic. Aside from offering exclusive designs for pillows, rugs, wallpaper and more at CaitlinWilson.com, the designer has also opened two brick and mortar showrooms. One located in Caitlin’s hometown of San Francisco, and a second recently opened in the Knox Henderson area of Dallas. Attendees will hear the latest insights on building brand awareness directly from our talented panel comprised of leading designers, digital mavens, and experienced editors and have the opportunity to share design portfolios for a 1:1 review. We welcome interior designers to join us for the panel. Attendees must have a tax ID to RSVP. Contact Gillea Allison here for general questions and sponsorship opportunities. Want even more of D Home events? Sign up for our newsletter now to receive special invites to D Home exclusive events like Design Center’s Wine Walk, expert panels covering the latest industry insights, showroom grand openings, and more.